With all the hustle and bustle surrounding the holiday seasons, it’s easy to forget about holiday safety. Rushing around is a prime cause of workplace accidents, after all, as is being distracted. With that in mind, and not a minute too soon, we’ve pulled together the following safety training suggestions for characters in made-for-TV holiday specials. You know, people like Kris Kringle, The Grinch, Frosty the Snowman, Rudolph, Charlie Brown, and more. Hope you enjoy this and that you have a wonderful holiday season. 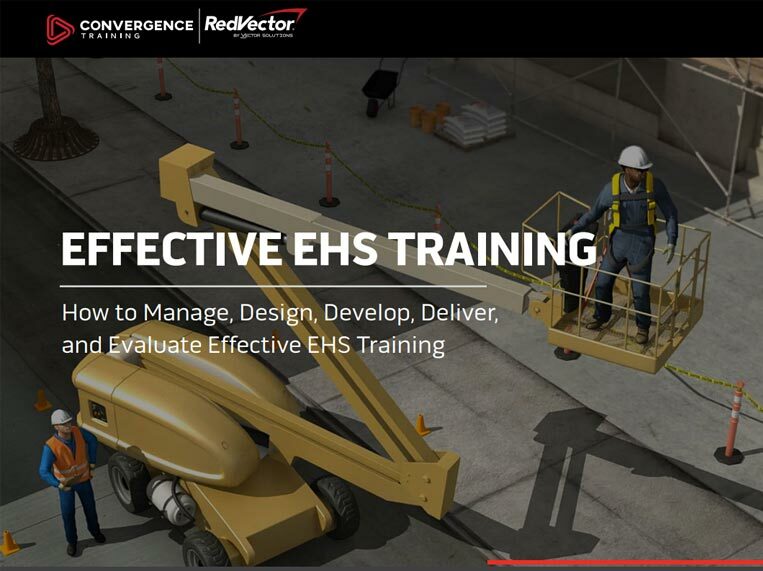 Convergence Training are safety and safety training experts. Explore the links below to learn more about what we do. Here are the safety (and other workforce) training suggestions we’ve pulled together for some of the characters from these popular TV shows. In case you don’t know, or don’t remember, this is the story of how a red-headed orphan named Kris Kringle (nope, not Krispy Kreme, but if you look at him when he gets older, you DO wonder if there’s a connection…) becomes Santa Claus. Special Delivery (S.D.) Kluger–For our kindly narrator, voiced by and bearing a remarkable resemblance to Fred Astaire. He’s an old-school mailman, and so we recommend our Email Basics course to help him step into the new era. Kris Kringle–Captured in the tight embrace of evil, magic trees; crawling down long, narrow chimneys; even locked up in the slammer. Give this man a dose of Confined Space Awareness training. Winter Warlock–For one of the two singers of the classic tune “Put One Foot In Front of the Other,” we suggest Pedestrian Safety. Burgermeister Meisterburger–The episode kicks into high gear when the Burgermeister trips on a toy, breaking his leg. Our medical evaluation: he needs Slips, Trips, and Falls. The Kringle Elves and Momma Kringle–They seem too nice to joke about, don’t they? Well, they’re toymakers, so let’s give them some Hand and Power Tool Safety training and encourage them to keep up the good work–safely. The Citizens of Somber Town–I thought about a course on moods and depression, but their real problem is the contradiction between their values (especially those of the kids, who just wanna have fun) and the values of the Burgermeister (not really into the fun thing). These differences can be resolved with some Conflict Management training. Topper the Penguin–What’s a penguin doing at the North Pole? Get back to Antarctica where you belong, our cute little black-and-white friend! Some Precision Instruments & Measurement training, especially focusing on compasses and GPS, is just what you need. Jessica the School Teacher–Jessica initially scolds Kris Kringle for bringing the children of Somber Town toys, but her heart softens and she changes her mind after Kringle gives her a doll. A little Adult Learning is in line for Ms. Jessica, to show that even adults can grow (and in this case, it’s ironic, since her day gig is as a teacher). If Santa Claus is Comin’ to Town focuses on the early Santa, then The Year Without Santa Claus depicts Santa in his later years: bed-ridden, suffering from a cold or flu and chronic back pain, disenchanted with the holiday season, and ready to “bag it” this year without delivering any presents. Sound like anyone you know? We hope not! The musical high notes of this one come compliments of the loveable “Miser Brothers,” Heat Miser and Snow Miser. Santa Claus–Not the spry young Kris Kringle we met earlier, this Santa is grumpy, sick, bed-ridden, and notably obese. Our First Aid for Diabetic Emergencies course is what’s needed here. Remember, Santa–diet and exercise. Mrs. Claus (aka “Mrs. 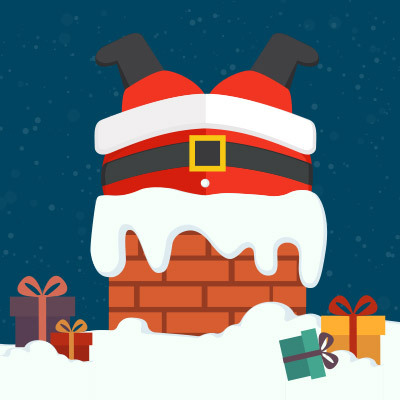 C”)–If Santa wants to dodge his yearly duty to deliver presents this year, Mrs. C knows the importance of Meeting Customer Expectations and ultimately rights the wobbly ship in time for the holiday season. Jingle Bells, Jangle Bells, and Vixen the Baby Reindeer–These two good-natured elves and this young-but-plucky reindeer try to save Christmas by leaving the North Pole and mixing it up in the “real world,” but they’re not prepared for life in the big city and wind up in the pokey (a surprisingly common occurrence in these shows, it seems). Our recommendation is a triple serving of Hazard Awareness. And a get-out-of-jail-free card, natch. Heat Miser—Heat Stress for this hot-head, of course. Cold Miser–You guessed it-Cold Stress for for Mr. Freezy. Mother Nature–She’s called in to address a conflict between her two sons, Heat Miser and Cold Miser, and with the deft manner in which she handles these two, it looks like she may already have received some Environmental Hazards training on the job. The story of a grumpy, green, elf-like character, his sadly mistreated yet inexplicably loyal (and supremely cute!) dog, and their fruitless attempts to bring an end to holiday cheer in nearby Whoville. I couldn’t find a full movie version of this one on YouTube for you–sorry about that. This one features the narrative talents of none other than Boris Karloff, displaying more elocution skills than he did in Frankenstein, and the music highlight is, of course, the tune about the Grinch himself. My favorite line explains that the Grinch is “a bad banana with a greasy black peel“…what’s yours? Grinch–He seems angry–maybe Stress Management and Prevention? He’s mad about all the noise in Whoville on the holiday, especially the singing–maybe some Hearing Conservation? And hey, about that madcap toboggan run down the hill he lives on–how about some Alert Driving? Grinch’s Dog–What this little sweetie really needs is a course on recognizing misplaced loyalty. But we don’t have one. So we’ll suggest our Line of Authority course, so our fuzzy canine friend can recognize the authority of The Grinch and (in this case only) disobey it immediately. Cindy Lou Who–She’s young, sweet, and naive, but she still should have known something was wrong when she discovered the Grinch in her home. We recommend a course on Good Housekeeping so she’ll recognize a hot mess in the house when she sees one in the future. In this one, we watch as a down-on-his-luck magician tosses out his worthless magic hat, only to find that the castaway hat then brings a snowman to life. Hilarity, shenanigans, adventure, and sentiment follow, as you’d guess. Professor Hinkle, the Magician–Tosses out his magic hat only to discover it’s got enough magic to bring Frosty to life. The good professor should have consulted our Equipment Maintenance and Reliability course. Hocus Pocus, the Rabbit–He’s a cute, friendly, and helpful rabbit–what’s not to like? I’m not sure we’ve got a joke for that. Come back next year and see if we do better. Until then, keep hopping down the bunny trail, Mr. Rabbit! Oops…we mixed our holidays there. Frosty, the Snowman–A man poorly suited in a world that’s too hot. We’ve got just what he needs–Refrigeration: Compressors and Ice Makers. Karen–A good-natured girl who tries to travel with Frosty in a refrigerated box car to the North Pole and nearly catches her death of a cold. Our Flu Awareness course is in order. The show starts with Charlie Brown being depressed and confused. What’s new, right? This time it’s because he doesn’t understand the meaning of the holiday season. To help him find meaning in the season, Lucy offers him the chance to direct the school play. Though we see precious little real thespian activity in the movie, the music is tops (thanks to Schroeder and Vince Gauraldi) and the dance moves are as hot as any on Soul Train. Speaking of the dance moves, we saw this ranking of the various dancers on the show just the other day. Charlie Brown–Who can make yet another joke at Charlie Brown’s expense? I can’t. I can’t do it. I won’t do it. Happy Holidays, Charlie Brown, even if you are “the Charlie Browniest.” May you find true happiness, satisfaction, and meaning in life next year–finally. Lucy–Lucy sells psychiatric therapy sessions (for the bargain price of a nickel, even, though you have to account for inflation to get an accurate assessment of that), so it seems like in today’s workplace, she might have a role in HR training. Snoopy–What more can you say about the perpetually happy, graceful, and successful Joe Cool? He should take an OJT Mentoring course and teach us all his secrets. Schroeder–Schroeder is in charge of the music for this episode. And as we’ve already discussed, the tune-age is H-O-T smokin’ hot, so we’ll suggest a little Fire Safety training in case things get out of hand. Linus–Linus is cool, and Charlie Brown’s best friend. I don’t begrudge him for carrying that blue blanket everywhere, but you wonder what greater meaning it has. Our Symbols, Standards, and Schematics course is in order for learning more about the significance of Linus’ constant companion. Pigpen–A nice enough guy, to be sure, but you still assume our Hand Washing and Hygiene course could benefit. We’d like to wish all of you a happy holiday season, regardless of the particular holiday(s) you celebrate. May your family be happy and healthy, and may good fortune smile your way. Are you familiar with the TV specials we included in this article? If so, we’d love to hear from you. Which were your favorite specials? Which were your favorite characters? Do you still watch any of these today, even as an adult? And don’t forget to download the FREE GUIDE TO EFFECTIVE SAFETY TRAINING below before you go. This is one of the many things I like and enjoy about Convergence, you are able to come up with solutions to all sorts of problems. Way to continue to think outside of the box and stay creative! Jason, glad to hear we may have solved any Santa-related safety training problems. Keep your eye tuned for additional safety training tips as Valentine’s Day and the Super Bowl approach.